The Zoggs Full Foot Rubber Fins are the ideal rubber swim fins for squad training, lap swimming, general fitness or snorkeling. Made from 100% rubber, this long blade swim fin has a flexible foot pocket for easy putting on and off. The Zoggs swim fin comes in a large range of sizes from junior to adult and are colour coded to make it easier to find your correct size as each fin size is a different colour. 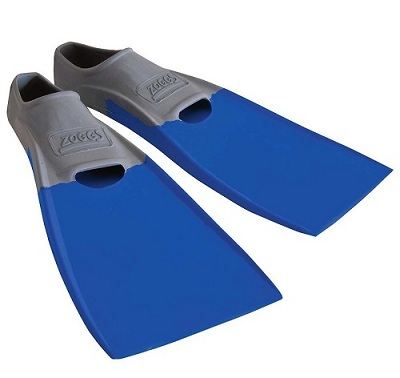 The idea with wearing a long blade fin is to improve swimming endurance, strength, technique and increase fitness levels. 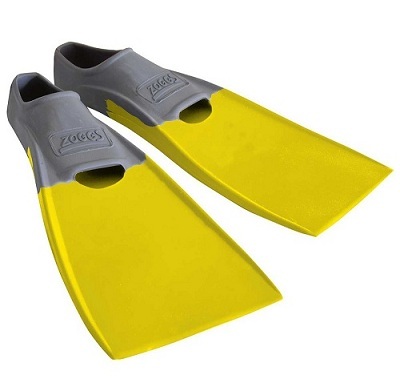 Every one no matter if it is a child or an adult will need a pair of long blade fins when learning to swim as these will help put them in the correct swim position and give them confidence in the water. 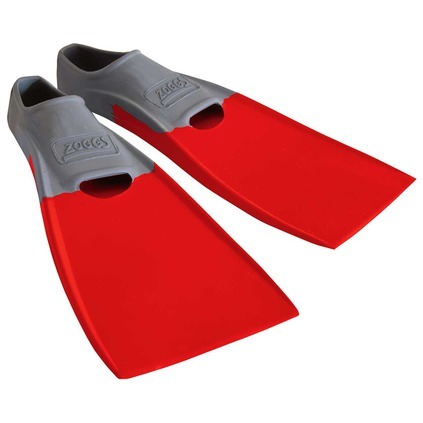 There are a few reasons of why you would use a swim fin and the first is to build up your fitness and increase you muscle strength. 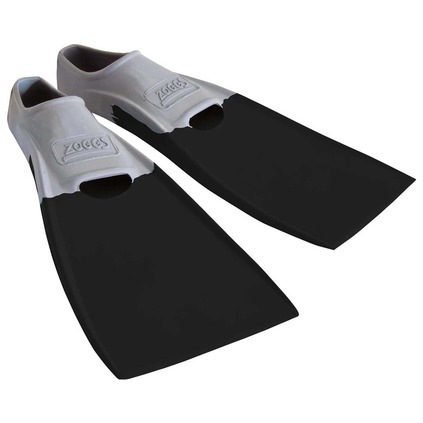 When using a long blade fin, you have more resistance that you are kicking against with will inturn use your leg muscles more and help with toning. Second reason is to help with rehabilitation of any joints whether it is knee, hip or ankle as to get better, strength is a huge part so with swimming with fins, this will help. Third is to get you in to the correct swim position. Even if you can already swim, fins can still help with technique and fitness. Please note that the adult sizes are a unisex sizing so females will generally take 2 sizes smaller. If you are a US 7, a size US 5 will generally be your size. 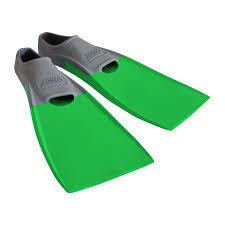 Fins are to tight around the ankle with no gaping. Toes can come out the end, as long as the ankle is fitted correctly.